SACRAMENTO- Twenty California properties may be permanently set aside for agriculture thanks to a first-of-its kind state program that invests in farmland conservation in order to benefit the climate. The Strategic Growth Council launched the Sustainable Agricultural Lands Conservation Program (SALC) in 2015. The program committed $4.6 million in Greenhouse Gas Reduction Funds to agricultural conservation easements and planning grants in its first year and is committing an additional $37.4 million this year. 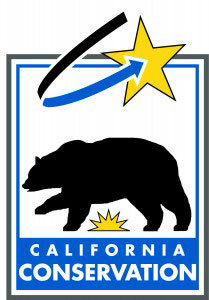 The SALC Program is part of the California Climate Investments initiative. State agencies are investing cap-and-trade auction proceeds in projects that reduce greenhouse gas emissions while providing a variety of additional benefits to California communities. Working in cooperation with multiple agency partners, the Department of Conservation’s Division of Land Resource Protection developed guidelines for the SALC Program, conducted public workshops, and reviewed 26 agricultural conservation easement proposals this year, ultimately recommending that the Strategic Growth Council fund 20. By preventing farms and ranches from being converted to more intensive land uses, such as urban or low-density sprawl, SALC will help avoid increases in greenhouse gas emissions that would result from these developments. This $37.4 million in grant awards will protect 18,988 acres of irreplaceable agricultural land and, by limiting development, will reduce emissions by eliminating nearly 47 billion vehicle miles. That equates to nearly 19 million metric tons of carbon dioxide over a 30-year period or keeping more than 4 million cars off the road for one year. Notably, Monterey County – which in 2014 ranked fourth among California counties in agricultural production with nearly $4.5 billion in commodities – had five easement projects and a planning grant approved. A complete list of grant recipients – which covers nearly a dozen counties throughout the state -- is available . The Strategic Growth Council last year awarded nearly $122 million in competitive grants and loans toward that goal using proceeds from the state’s cap-and-trade auctions. In addition to preserving agricultural land, the funds help reduce emissions by supporting more compact infill development patterns as well as encouraging active transportation and transit usage. More than three-quarters of that funding was aimed at benefiting disadvantaged communities. The Division of Land Resource Protection also administers the California Farmland Conservancy Program. Since 1996, that program has funded more than 175 conservation easements, permanently conserving more than 57,000 acres of the state’s best farmland with more than $83 million in funding. DLRP is also working with the High Speed Rail Authority on securing permanent agricultural conservation easements to offset the loss of farmland associated with construction of the bullet train.